“Freeway To Success”, by Doc Lett and found at freewaytosuccess.net, is a multi-level marketing company with eBooks, food discount and pharmacy cards as the products that barely keep them from being a total pyramid scheme. Like any mlm, money is made by recruiting a downline of “distributors”, not by selling products, but, FTC regulations require that there be some sort of product or they will consider Freeway To Success illegal. The eBook products Freeway To Success offers teach you general information about how to run your own online home business and make money online. The restaurant discounts Freeway To Success offers may save you up to 90% off selected places, and the pharmacy card gives you prescription discounts at participating pharmacies which include some chains. Even though Freeway To Success is available throughout the world, the discounts only work in the US, so if you’re outside the US, the discounts will be of no use. Freeway to Success is structured as a 5×5 forced matrix multi-level marketing venture. That means you recruit 5 people who each recruit 5, and on. You have to keep it current in order to receive your commissions. Freeway To Success claims it won’t take long to see results, and that is usually sales hype when it comes to multi-level marketing business in general. Most of them you end up buying a lot of overpriced useless junk products that are almost impossible to unload and that is where the 99% failure rate begins. They claim that when your matrix is filled you could potentially make $3,000 to $4,000 per month from membership fees but no one has offered any proof of this as of yet. However this can take quite a while and the longer it takes, the longer you will have to wait to receive any sort of real significant income. 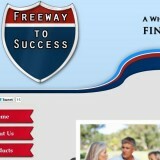 Freeway To Success does offer training calls to help you market your business, but I’m unsure as to its effectiveness. It also has a book of the month club that provides training books in the members area. As with most MLM opportunities, you are going to be suggested to go after your friends and family first, and then proceed with marketing tactics. This MLM is not very different when comparing to others, but at least the monthly investment is minimal at only $5.00 for basic and $20 for gold level and there is a $10 yearly admin fee and you have to join under a sponsor. If you are recruiting your own downline then you can you need to have at least some basic marketing skills or it will be a struggle. The Freeway To Success disclaimers on the website don’t offer any guarantees, but they do offer a full refund if you cancel within the first 3 days you are member, which is not long enough to see any results. I do not recommend most mlm’s and I will not call it a scam, but I don’t recommend Freeway To Success.